Special St. Patrick’s Day Themed Dinner Party and Cancun Raffle Drawing! Raffle Info -- Get your tickets now! 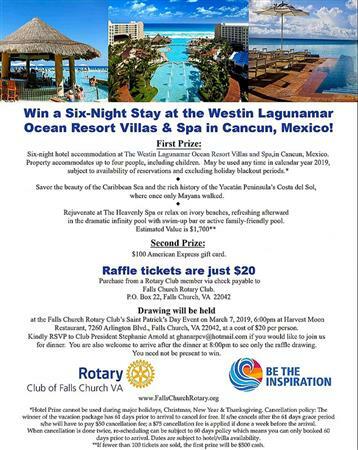 Raffle: Win a 6-Night Stay in Cancun, Mexico!